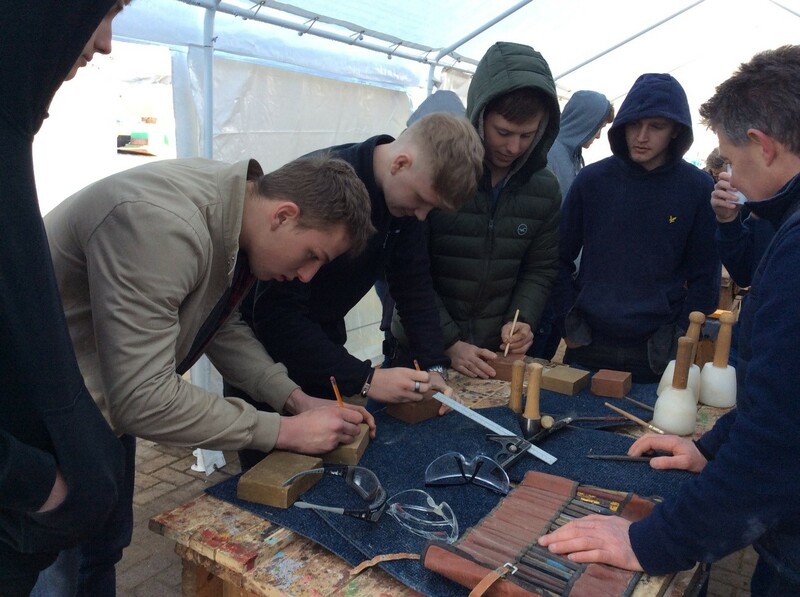 Ignite Yorkshire, a programme aiming to connect young people with Yorkshire’s industrial heritage, has completed its development phase, learning much about how young people engage with heritage and how to improve that engagement. Ignite Yorkshire is part of Kick the Dust, a funding stream created by the Heritage Lottery Fund. Kick the Dust, with support from National Lottery players, is a new programme with a mission to make heritage relevant to the lives of a greater number and diversity of young people ages 11 to 25, across the UK. It supports the Government’s Culture White Paper priority to involve young people more effectively in the UK’s culture, and 12 projects across the UK will see youth and heritage organisations work together in innovative ways. Kick the Dust works across the UK with different organisations delivering regional programmes. IVE is delivering Ignite Yorkshire, which focuses on industrial heritage of the Yorkshire Region and the connecting inland waterways. It is the only Yorkshire-based project to be awarded this funding and is developed and delivered by a consortium of partners connecting with young people across the region. The Ignite Yorkshire partners are Canal Connections, a Leeds-based community boat organisation, the National Coal Mining Museum for England at Caphouse Colliery on the Wakefield-Kirklees border, North Yorkshire Youth – who provide services for young people across the county, Sheffield Industrial Museums Trust with four museums in that city, the Sobriety Project at Yorkshire Waterways Museum in Goole and Swinton Lock Activity Centre based on the canal near Rotherham. Our strategic partner is Canal and River Trust North East Region who manage and maintain the majority of Yorkshire’s navigable inland waterways. This strong partnership brings together significant expertise and a brilliant opportunity; the consortium partners have a wealth of experience in working with heritage and young people and have potent assets such as museums, boats, venues and sites where young people can gather and meet to explore heritage on their own terms. Facilitate young people’s creative ideas for heritage to drive-up quality, relevant engagement. Effectively drive-up heritage engagement through mechanisms and approaches (such as youth governance, youth leadership and strategic youth boards). Develop a heritage workforce to better understand and appreciate the needs and opportunities of working with young people. Influence ‘gate-keepers’ to better understand and appreciate heritage related opportunities to engage young people. Improve perceptions of how young people can make a positive contribution to heritage. Our journey to deliver these aims started with a six-month, funded, delivery stage from October 2017 to March 2018. During this time we have been busy building the relationships within our partnership and with a wider group of agencies, working out where we start through a baseline study and consulting widely with young people, partner staff and stakeholders. A core part of the six-month development phase has been running 41 themed taster sessions for young people to try and get to creative with heritage skills, innovative interpretation and the visitor experience. 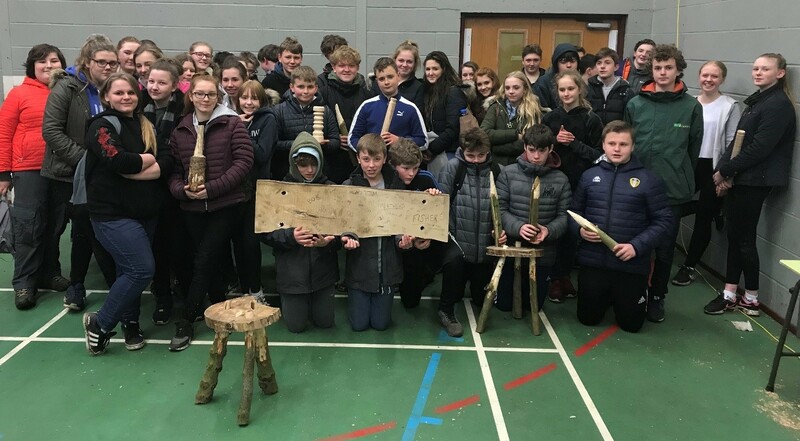 Other activities included: geocaching, boat handling, learning oral history recording techniques and interviewing one of the last surviving Bevin Boys, , work placements, stone masonry, textile crafts and leatherworking, brick making, creative writing, sound recording and drama workshops. 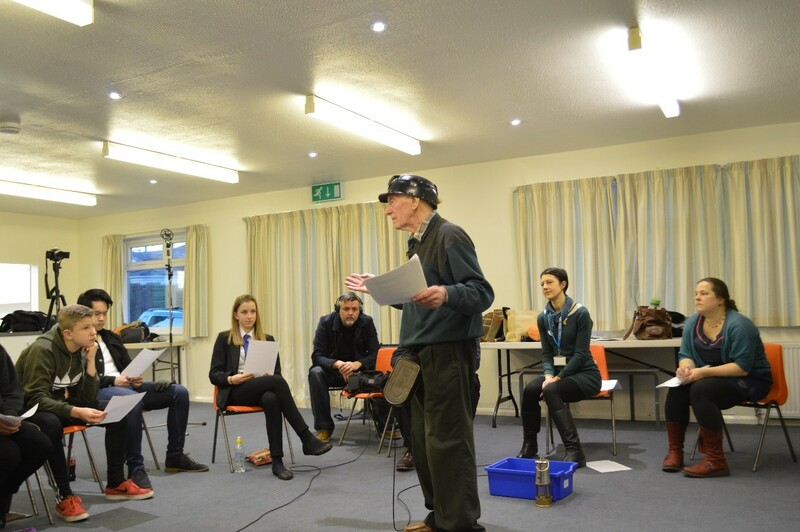 Young people explored many of the industrial assets and landscape of Yorkshire along the waterways by boat and re-told stories of our industrial past in their own ways. They worked with artists such as The Writing Squad to select interesting narratives, images and ways of telling a story, to think about the many ways of getting the message across and to consider which ways they felt communicate well with other people of similar age. Many of the sessions were delivered by working with heritage skills training experts Heritage Craft Alliance, who showcased a range of skills used to care for heritage buildings to life through hands-on activities. The consultation responses reinforced the importance of influencing gate-keepers, the adults around young people, of the value of quality heritage-related activities. Work with consortium partners, to build a partnership and to flesh out the vision for Ignite Yorkshire, generated a shared story. Over the last decade there has been major structural change to how youth work is resourced with the “rug being pulled out from underneath” well established youth work practices and networks, changes to the ways that formal education interfaces with the heritage sector and demographic change in the communities that the project will work in. The consortium partners have experience of working with young people, some as a core activity, others as part of a wider audience and all embrace the opportunity that Ignite Yorkshire creates in terms of supporting diverse groups of young people to access Yorkshire’s heritage. Through interrogating the aims and outcomes of the Ignite project we found a consensus wish to enrich and enhance young people’s lives in terms of engendering a strong sense of place and identity, creating a range of opportunities to enhance employability, providing a vibrant heritage offer relevant to young people and putting young people’s voice as part of the decision making process in our organisations. The challenges that we have identified and plan to address include effective facilitation, relevant communication methods and high-quality design, creating welcoming spaces for young people and giving a genuine voice to young people through effective methods of participatory governance. In response to what we learned in the development phase, young people’s responses and our shared story, we have developed Year One of the action plan to deliver a wealth of activities for young people across the Yorkshire region alongside staff development to support new ways of working. 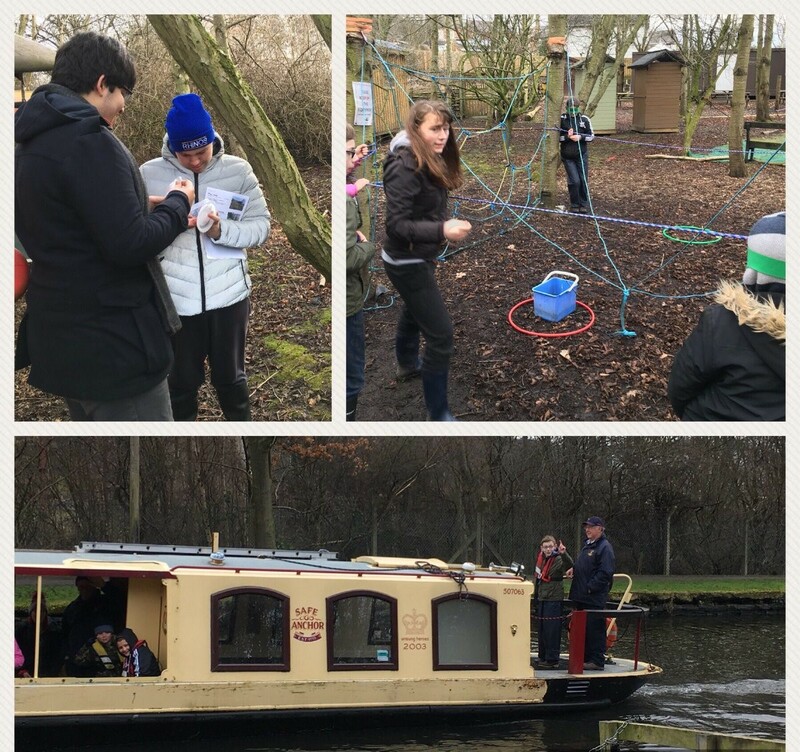 In Year 1, young people will learn boat handling and navigation skills with Canal Connections and explore how inland waterways were a crucial catalyst in Yorkshire’s industrial revolution by developing Time Travel Cruises on two different West Yorkshire waterways. They will find new ways to share their research and sense of place with a wider audience. In doing so we will develop a new, bespoke, expeditionary learning tool. The Sobriety Project plan two festivals, curated and delivered by young people. Other young people will join boat-based residentials and make a film about the town of Goole. Working with Swinton Lock Activity Centre, young people will rethink and create a new brand identity for their home in the Dearne Valley. They will research and select stories and use their creativity to reappraise their local history and present it in new ways in an area that has seen incredible landscape and social changes in recent years following the decline of key industries in the area. A fresh take on heritage skills will happen in North Yorkshire and will be digging deeply into how the industrial revolution impacted, and was fuelled by, even the most rural parts of the region through creative and outdoor activities exploring landscapes. Sheffield Industrial Museums Trust aim to create welcoming safe spaces for young people at their sites and will be building on the brilliant response from their previous work and taster sessions on blacksmithing and creative space workshops. We will be exploring ways to connect successful programmes around fishing and ecology with Education Through Angling with the rich and ancient industrial heritage story in the wooded valleys around their sites. The National Coal Mining Museum will be building their relationships with young people through drama workshops for young people with special educational needs, an enterprise project, further work with The Writing Squad and an event which will be designed, planned and delivered by young people. All of the delivery partners will be developing youth boards alongside staff training and support and through this work we aim to bring about the organisational and cultural change to deliver on our aims. The Ignite Yorkshire delivery partners, through their hard work during the delivery phase and exploring new connections with the expertise of Heritage Craft Alliance and The Writing Squad, have created a firm foundation for the next four years of the project. We have a long way to go to achieve our aims. Some of the young people we will connect with will develop the skills and passion to be active stewards of Yorkshire’s industrial heritage to the end of the 21st-century. Our challenge is to create the spark and support the journey to make this a reality for as wide a range of young people as possible. For more information on the Ignite Yorkshire project you can follow us on twitter @igniteyorks where we share updates on the various partner projects.